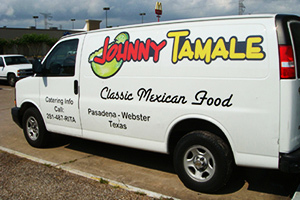 Advertise your company logo and slogan using Partial Wraps. 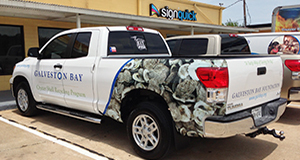 With partial wraps from Signquick, you can take advantage of the large advertising space on your cars, trucks and vans. 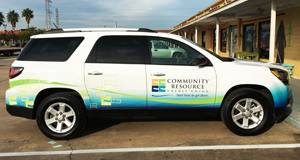 Signquick can coordinate your company colors and logo with your vehicle panels. Choose from many different colors and shapes. 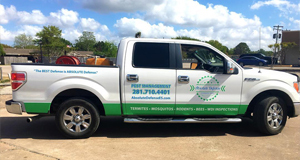 Since we custom make your panel signs, we can design your information to go on any part of the vehicle including: window, doors and windshield. We can provide the vinyl as a digital print in 1 piece for self install. Or you can let a Signquick professional install it for you. 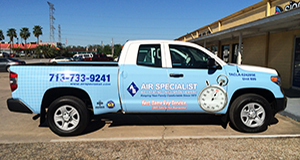 Since your vehicle is a moving billboard, using large decals is a smart investment for companies of all sizes. 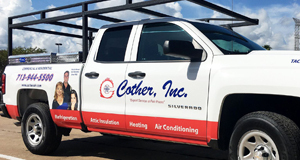 From 1 vehicle to 100 vehicles, custom vehicle panels are a great way to advertise your company for a small price. Why choose our Partial Wraps? 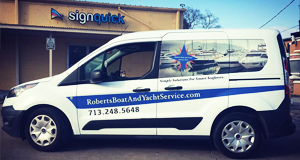 Quality Materials – Signquick’s high quality vinyl material will help get your message observed while driving around town or just being parked at a visible location. Templates Available – We have templates of the most popular vehicles available. We can quickly create a design for you to look at. You can also design online. 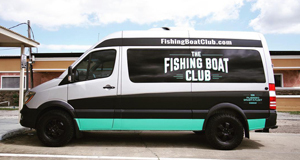 Using vehicle lettering as an advertising tool would increase your exposure in your area. Where else can you find someone that will work around the clock 24/7 promoting your business. That person would not need training, and require no paycheck to promote your business. How about having just my business logo and number? This is one of the most common orders that we get. Many owners just want a simple logo to promote their company or services. Use our online tool to create the lettering of your choice. How long does it take to install? Panel decals do not take too long to install. 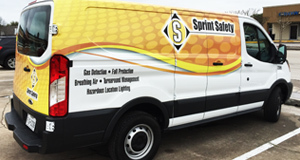 We typically can install most vinyl jobs within 1-2 hours. More complex jobs will take longer. Will the decals damage my car’s paint? As long as the paint is in good shape, there is a good chance that there will be no effects from the decals. 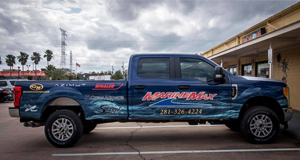 Washing your vehicle and graphics frequently will extend the life of the decals. How much does it cost? Pricing normally starts at $350 for 2 panels and increases with amount of material used. 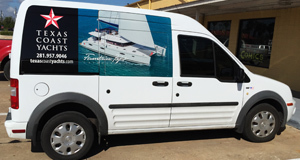 We use premium vinyl graphics which ensures longevity. Call today to get your quote.